Lead generation doesn’t just happen on its own. Many businesses struggle with it, and the top two obstacles consistently in the way are the lack of an effective strategy and the inability to create strategic content consistently. 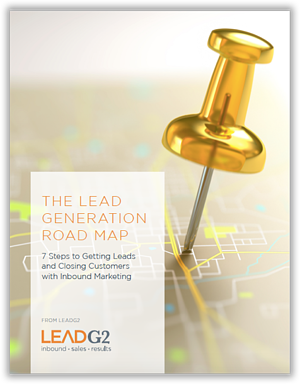 LeadG2 has developed a 7-step process to help businesses effectively plan and implement inbound marketing programs—programs that can fundamentally change your marketing to bring in more leads and close more customers. Tips for delineating team responsibilities, brainstorming content, nurturing leads, and more! Fill out the form to download the complete Lead Generation Road Map.